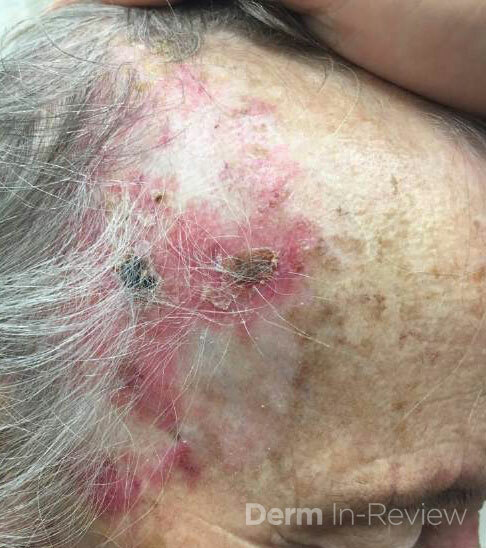 The patient had an extensive superficial basal cell carcinoma on the forehead treated with topical imiquimod and returned 4-weeks later with this reaction. Which cytokine is not activated by this medication? Next PostNext I Finished Residency! Now What?